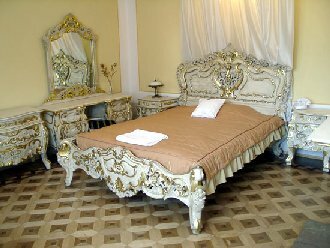 Located in the heart of the Subcarpathian region in Jasionka near the city of Rzeszow, Ostoya hotel offers guests a comfortable stay in the historic, carefully renovated interiors. The hotel is located in a 6-acre park full of majestic, old trees. The hotel is located close to the intersection between the main road, which provides guests with easy access. The hotel is located close to the airport and provides the perfect base for exploring the famous sites such as Łańcut, Krasiczyn, Iwonicz and Sandomierz. In hotel rooms, guests will find air conditioning, large hot tubs, stylish furniture. The hotel offers guests apartments consisting of two or one room and twin hotel rooms. Period furniture make guests feel the spirit of history. 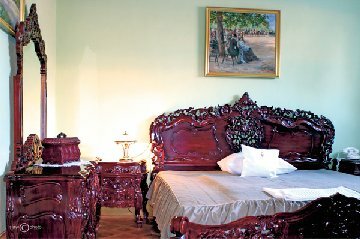 The hotel offers 10 rooms and 4 suites. In addition, in a 5 hectare park is the palace, where there are 50 two bedroom apartments. Furthermore, the neighboring buildings and granary inn, there are 46 beds. In total, the hotel offers accommodation for 240 people. The hotel has a stylish restaurant where guests eat food not only tasty but also healthy and exquisitely presented. Extensive menu and specialties of our cuisine will satisfy even the most discerning palate. The restaurant serves traditional Polish cuisine prepared according to original recipes and cuisine of hunting. Guests can also enjoy a range of carefully prepared dishes court and palace. 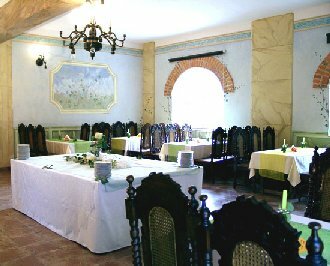 In addition, the Manor House is a restaurant with traditional Polish cuisine. The building inn to inn guests is of Hungarian cuisine and Carpathian. The palace building is a restaurant with Indian cuisine (open from September). Guests will find a modern and functional swimming pool. 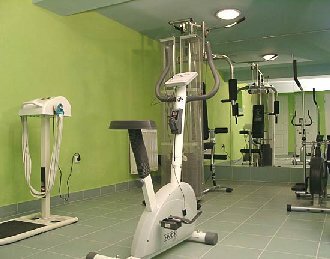 Guests wishing to combine a visit with attention to your physical condition will find a fully equipped gym and comfortable. If you enjoy nature and the beautiful views you can go horseback riding or horse-drawn carriage. During winter the hotel offers such things as skiing behind a horse and sleigh rides. 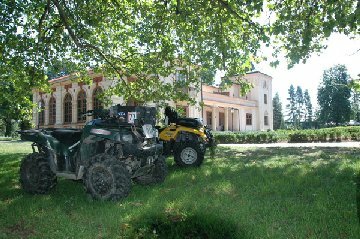 Guests can take advantage of the opportunities drive four-wheel off-road vehicle while visiting the beautiful surroundings of our mansion and discover the mysterious path. For guests who enjoy strong sensations hotel offers skydiving courses and breathtaking scenic flights.